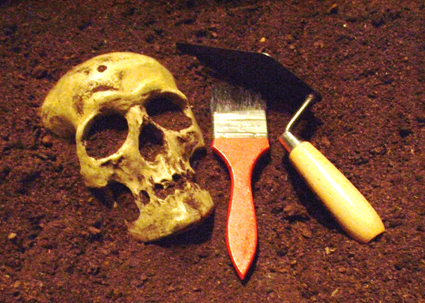 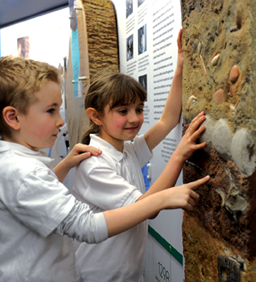 Bone Investigators is a compelling hands-on workshop that gets children excited about archaeology. 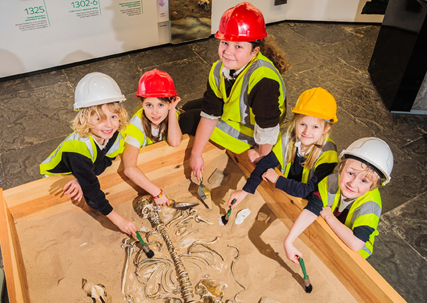 Equipped with high-vis vests, hard hats, kneeling pads, trowels and brushes, they discover why and how archaeologists excavated an ancient Viking burial site. 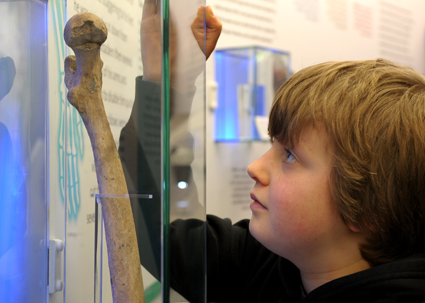 As they carefully reveal the skeletons and grave goods, they also learn how to interpret what they are finding, building a picture of what life was like for these people long ago. 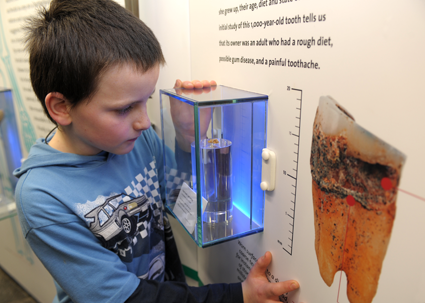 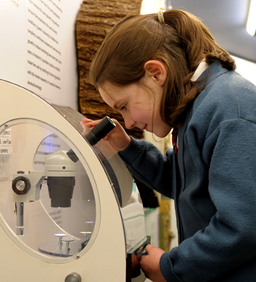 The kids also get to do other cool stuff like inspecting a 1,000-year-old rotten tooth, examining ugly bugs under a microscope and puzzling over the evidence of a real-life medieval murder mystery. 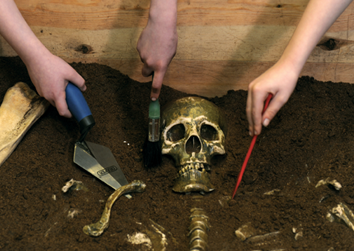 Uncovering and understanding the past – Children get to dig up two full-size Viking skeletons, a man and a woman, along with grave goods that are typical of this type of burial site. 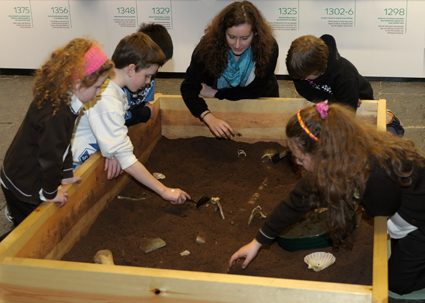 The dig experience is based on the excavation of a spectacular Viking burial site at Cloghermore Cave, near Tralee. 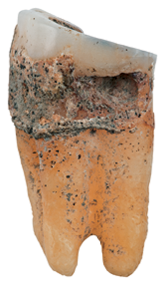 A medieval toothache – With a 1000-year-old tooth displayed side-by-side with large format photographs and the results of detailed analysis carried out on it, kids get an understanding as to the wealth of information a small, seemingly insignificant, object like a tooth can provide to the archaeologist. 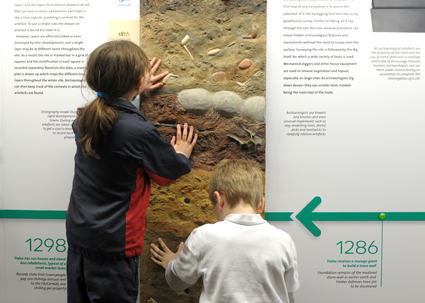 An intriguing large-format stratigraphy model illustrates how artifacts are layered beneath the surface. 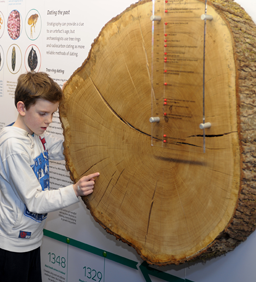 The growth rings on the cross-cut of a local oak tree provide a impressive backdrop to nearly 200 years of history. 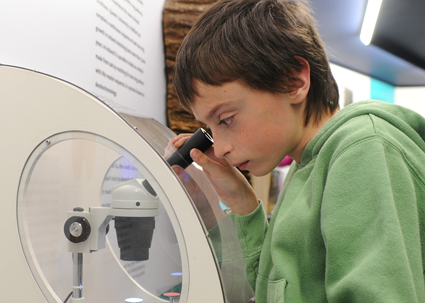 Examining bugs and seeds under a microscope.